Poll shows only 31% of British Jews supported Brexit. 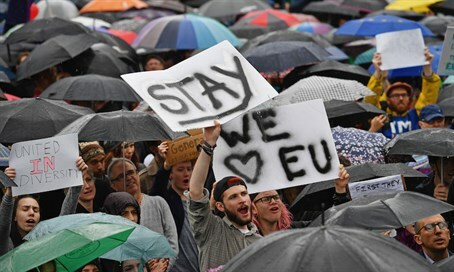 Twice as many British Jews voted to remain in the European Union than those who backed the “Brexit,” according to a new survey. Surveyed after the vote, 59 percent of respondents said they voted Remain, with 31 percent voting Leave. Six percent did not vote, they said.